The American Apartment Owners Association, the country’s largest with nearly 77,000 members, conducted a presidential election poll. 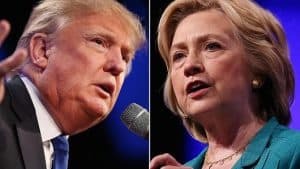 Hillary Clinton won by a slim margin of 35% to 31% over Donald Trump however “None of the Above” earned 34% which reflects the well publicized attitude held by many Americans of a general dislike for both candidates. Telephone interviews with several members indicated a general frustration with both candidates. A landlord in Ohio was particularly upset that in a nation of over 300,000,000 million people, “Clinton and Trump were the best we could find”. Similarly, an owner of a small property management company in Los Angeles was so frustrated with the two candidates that he jokingly said that if he knew this would have been the choice, he would have run for the office. Essentially, there were few members that voiced any real enthusiasm for their choice. Most mirrored the distrust issues that are mentioned daily in the national press. Regarding Mrs. Clinton there was a general dislike of her personality but belief that she could handle the challenges brought on by the job. The reaction to Mr. Trump has been more about fear and lack of ability. One member put it best when asked why she would not vote for Mr. Trump, she proclaimed “Trump appears to be a caricature of a man with no ability or desire to explain how he will implement any of his ideas. He scares me”. As the largest landlord and residential property owner association in the country, AAOA is at the forefront of providing services and consult to independent property managers and residential income owners throughout the United States. To learn more about the American Apartment Owners Association, please visit http://www.AAOA.com.